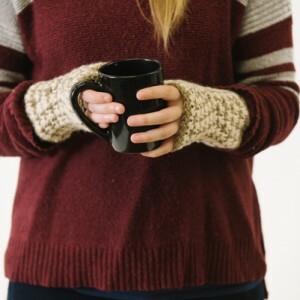 These days, it’s just too cold to go out in the winter without bundling up – and that includes a pair of cozy crochet gloves or mittens! Don’t be left in the cold this winter, work up a pair of easy, stylish gloves! 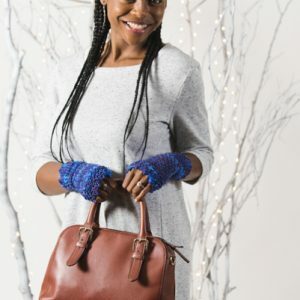 From fingerless gloves to chunky, cozy mittens, this collection of crochet gloves is perfect to accessorize your all-year fashion with. There’s even a pair of convertible mittens if you just can’t decide between traditional mittens and a funky fingerless glove. Details instructions are included with each pattern, so if the thought of crocheting a pair of gloves and working around the fingers scares you – don’t worry! Just follow along and you’ll be just fine. Crochet gloves not your thing? We have so many crochet mittens too! See for yourself! Inspired by the traditional mittens that were once knitted for woodsmen in the north of Sweden, these thick, cozy mittens make the perfect unisex gift. 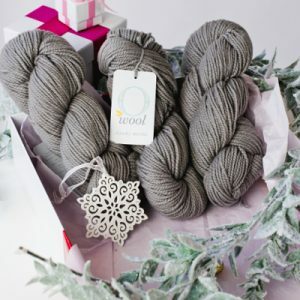 If made using 100% non-superwash wool and crocheted to a tight tension, they have the additional benefit of being water resistant. Keep your hands nice and toasty with these chunky, simple-to-make mittens. Make them as a heartfelt holiday gift or whip up a pair for yourself this festive season. The Augusta Mitts are bursting with texture and detail. 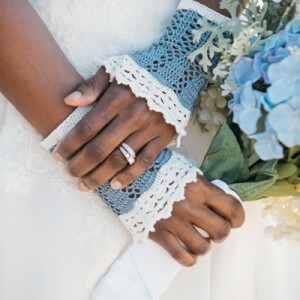 Side-by-side ribbing forms a stretchy cuff, while wrist-defining welts are created by special, double-back loop stitches. The mitts are topped off with a picot pattern reminiscent of turret tops from a fairytale castle tucked in the mountains. The Kenai Mittens are worked from the cuff with rows of back loop, single crochet stitches. 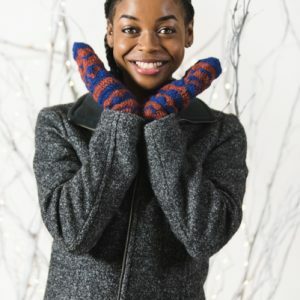 Enjoy warmth, comfort and durability without the bulkiness by whipping up these cozy mittens. Alternating rows of wave and chevron stitches mimic the Kenai Mountains to capture a subtle nod to one of nature’s most beautiful creations. 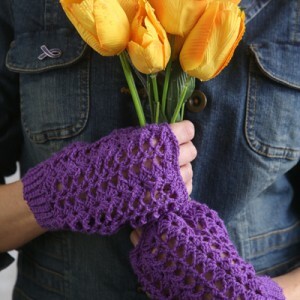 Worked from the fingers to the wrist, these mittens are fun to try on as you make them. 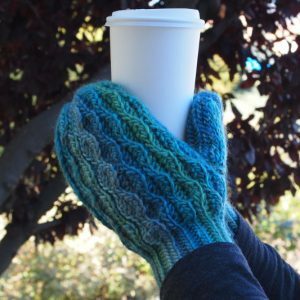 The fingers, thumb and cuff are worked in single crochet, and the rest of the hand is worked in a 2-color vertical stripe pattern that is easy to remember and keep things interesting! Make your own mittens in a tight thermal stitch for maximum warmth. 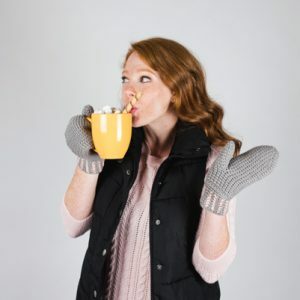 Pair these mittens with your favorite fall coat and cup of hot coffee for the perfect fall day.